Not too long ago, the vegan ice cream selection at the grocery store was limited, if it existed at all. You might find a soymilk-based ice cream but there was probably only one brand and one flavor. But now, vegan ice cream has gone mainstream with brands such as So Delicious conquering the shelves with a range of dairy-free flavors. 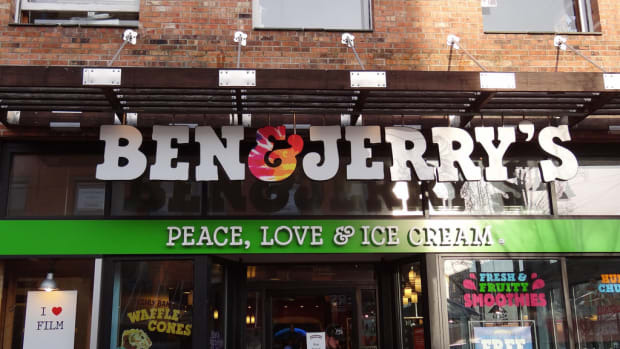 Even Ben & Jerry’s has entered the race by introducing its own selection of vegan flavors. 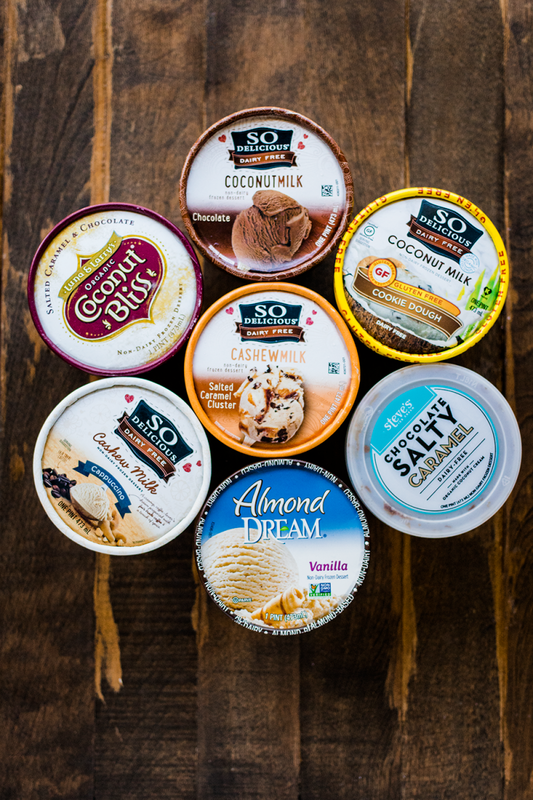 So with all of these choices, you may be wondering which vegan ice cream is best? When I first went vegan three years ago, I remember the only vegan ice cream I could find was soy-based. At the time, I had no qualms about that since I had no idea such a wide range of non-dairy milk bases were waiting to be discovered. I ended up getting a pint of So Delicious&apos;s Chocolate Peanut Butter ice cream. It was surprisingly good but in comparison with the decadence of today&apos;s vegan ice creams, it could be considered underwhelming. 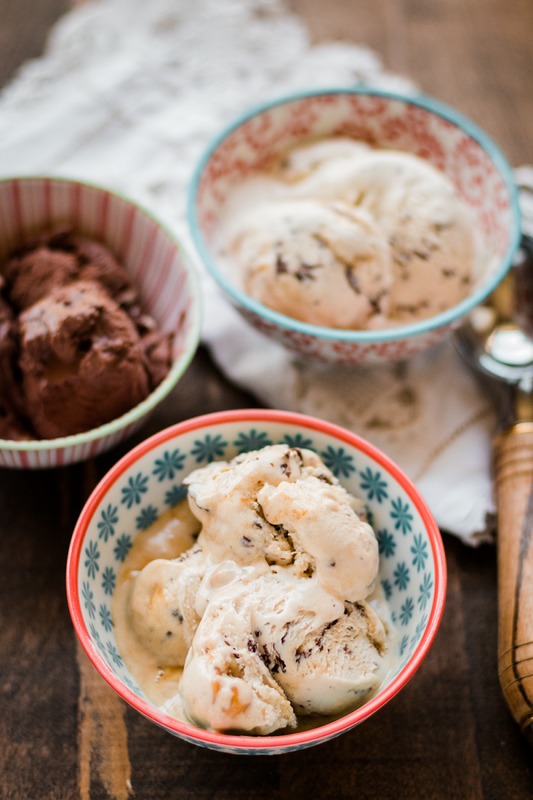 The dairy-free bases for ice cream seem to be endless with coconut, soy, almond, and cashews, even rice. Along with with input gathered from vegans and non-vegans alike, I put every type of vegan ice cream to the test for its strengths and weaknesses. Licensed naturopathic doctor, Dr. Danielle Gran of Integrative Health Institutes, advises her patients suffering from acne to avoid dairy based on the results of such studies mentioned above and her own clinical experience. 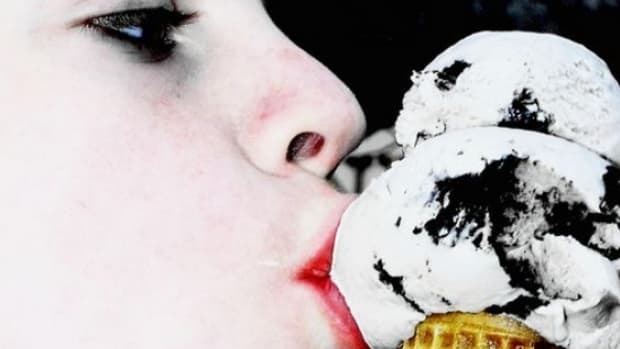 By ditching dairy, you may avoid the dreaded pimple that pops up after a night of indulgence in such treats as ice cream. A common yet perhaps unfamiliar ingredient you may find when skimming the nutrition label of a pint of vegan ice cream is carrageenan. Carrageenan is an emulsifier and thickener extracted from seaweed. Claims exist that carrageenan is inflammatory to the digestive system which has sparked some controversy about the popular food additive. But when carrageenan was reviewed by the FDA in 2012, the agency deemed it safe for consumption. 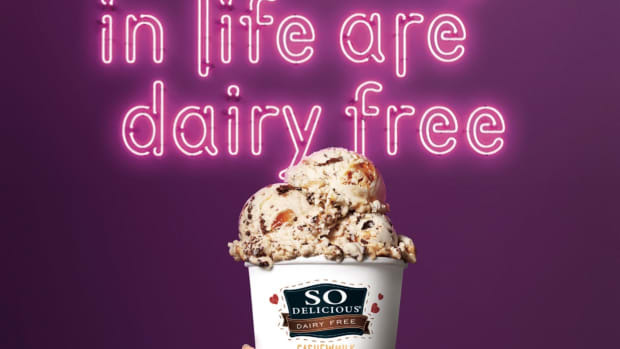 So Delicious is one of the few vegan ice cream brands that has completely stopped using carrageenan in its products. 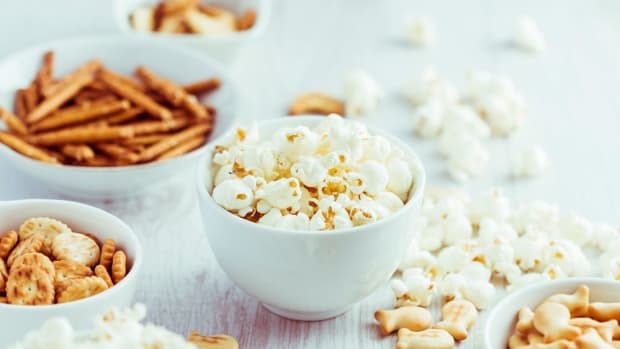 Many consumers were voicing their concern over the ingredient which prompted So Delicious to reformulate its products without carrageenan as an ingredient. 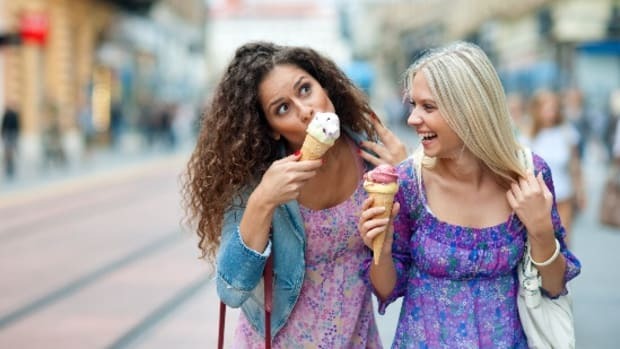 While dairy-free ice cream may have its advantages over dairy-based, it is still a processed product that should be viewed as a treat. Such treats are perfectly fine for consuming in moderation while maintaining a balanced whole foods diet. So Delicious is one of the easiest dairy-free brands to find. From Ralphs to Sprouts to Target, So Delicious is stocked at plenty of stores making vegan treats accessible. 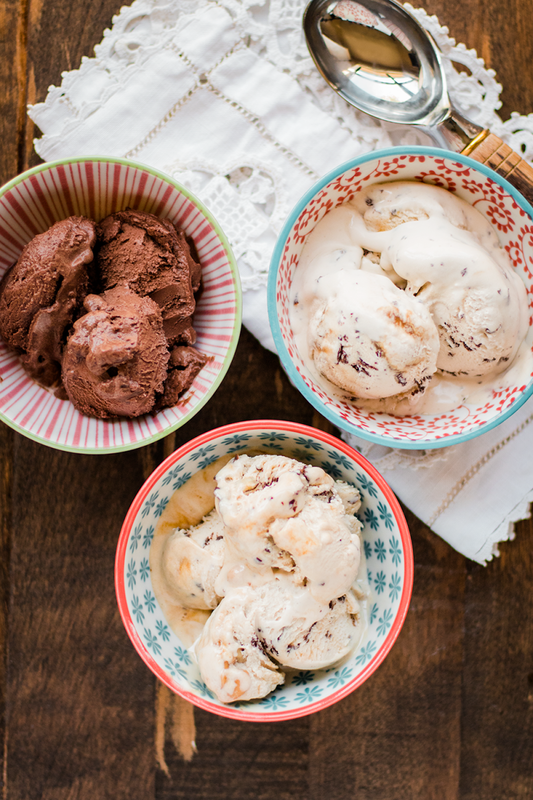 Plus, it boasts a huge range of ice cream variations. Since it offers soy milk, coconut milk, cashew milk, and almond milk based ice creams, each one has been reviewed separately. Flavor: So Delicious Soymilk ice cream is very mild yet pleasing. 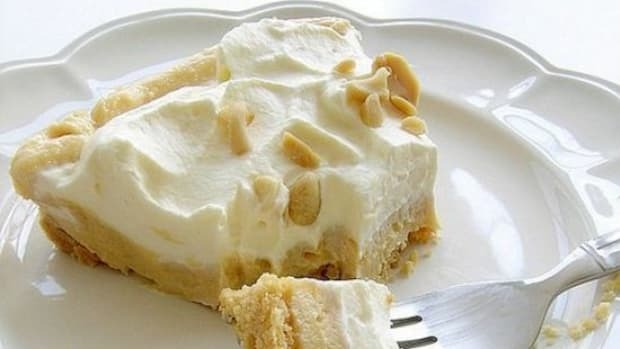 It’s great for those who prefer lighter desserts. But since it does lack richness the sweetness is far more noticeable and tastes a bit sugary. The Neapolitan flavor is the most enjoyable flavor since it&apos;s reminiscent of childhood trips to the ice cream shop. Nutrition: This particular ice cream uses multiple additives including locust bean gum, gellan gum, and guar gum all as emulsifiers. So, given that it has more emulsifiers, it’s more processed than some of the other vegan ice creams on the market. 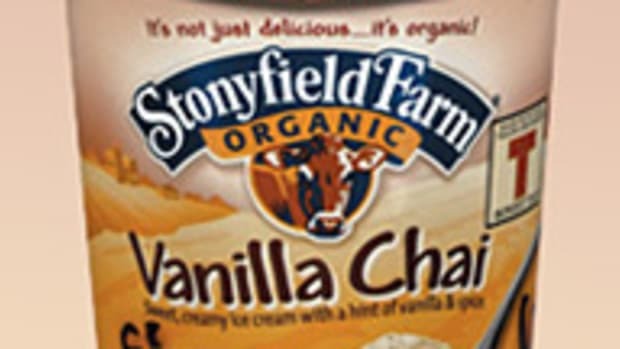 The vanilla flavor has 120 calories, 3 grams of fat, 24 grams of carbs, and 14 grams of sugar per serving. Flavor: So Delicious Coconutmilk ice cream closely matches its dairy counterpart. It’s creamy, smooth, and not overly rich. The cookie dough flavor is one of the best flavors and you wouldn’t know it was gluten-free unless you read the label. The chocolate peanut butter swirl is my personal favorite. It’s reminiscent of a chocolate peanut butter cup while being a bit less indulgent. You also can’t go wrong with the classics such as vanilla bean, chocolate, mint chip, and strawberry. Nutrition: With such a wide range of flavors, it’s hard to judge the nutrition as a whole. But for the classic flavors, the ingredient lists are pretty minimal. The vanilla bean flavor has 120 calories, 6 grams of fat, 20 grams of carbs, and 13 grams of sugar per serving. 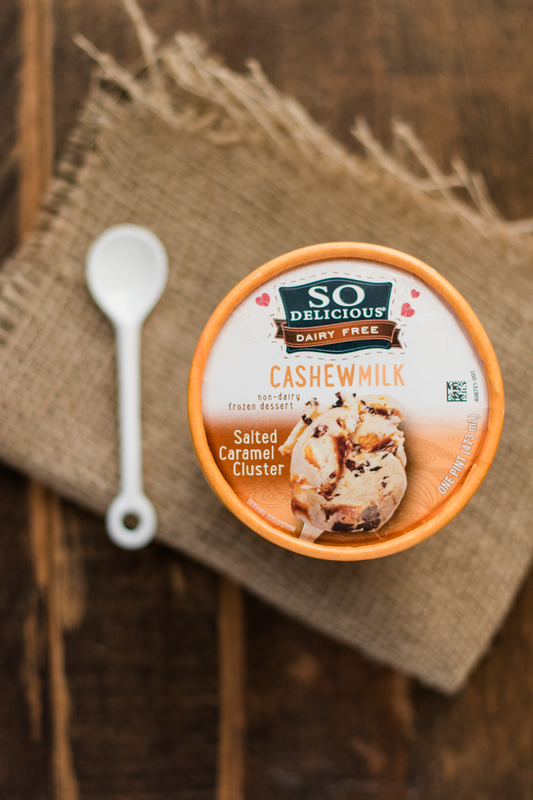 Flavor: So Delicious Cashewmilk ice cream is truly decadent. 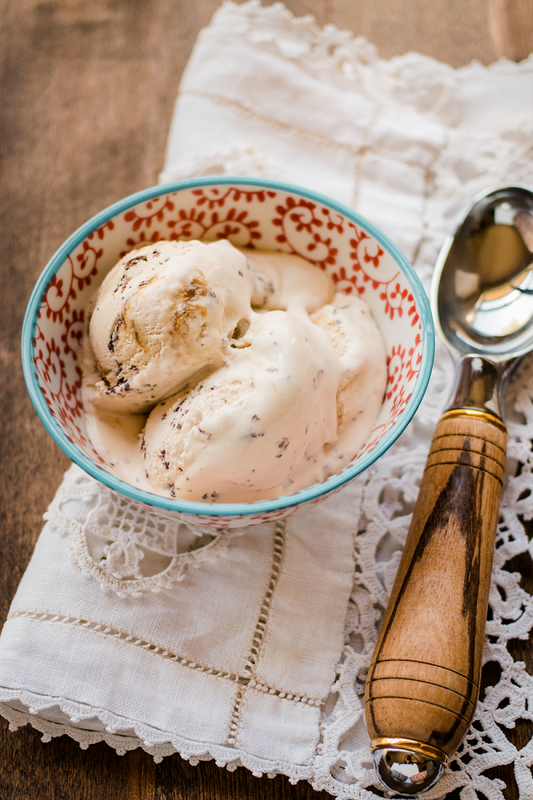 Unlike soy milk ice cream, cashew milk ice cream doesn’t lack in richness. The salted caramel cluster flavor and snickerdoodle are fun flavors that have crunchy add-ins like cookie dough and chocolate chunks. There’s also a classic vanilla and chocolate which closely match the taste and texture of dairy counterparts according to my non-vegan taste testers. Nutrition: So Delicious Cashewmilk vanilla ice cream has 150 calories, 7 grams of fat, 21 grams of carbohydrates, and 18 grams of sugar per serving. 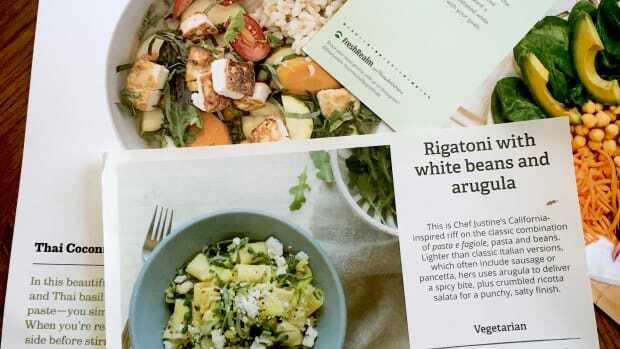 It also has a minimal ingredient list with only eight ingredients (excluding water) and most of which are fairly clean. The more decadent flavors, on the other hand, have more ingredients and flavorings added. If you’re being health-conscious then it is best to go with the minimal flavors. 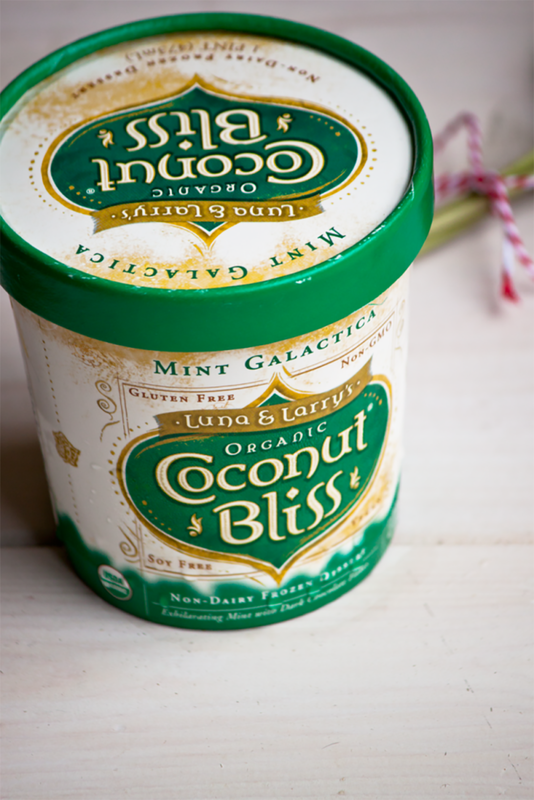 Luna & Larry&apos;s Coconut Bliss is one of the healthiest vegan ice cream brands. It uses by far the most wholesome ingredients and is certified organic! Plus, it’s absolutely delicious and boasts unique flavors. Flavor: Luna & Larry’s Coconut Bliss ice cream is smooth and creamy. It does have a hint of coconut given its base ingredient but it’s not overwhelmingly coconutty. The peanut butter chocolate flavor is a delicious choice that will satisfy chocolate lovers. The salted caramel chocolate is ideal for those who love decadent desserts. The most unique flavors are the Cinnamon Chocolate Fusion, Mocha Maca Crunch, and Ginger Cookie Caramel. Foodies will love this brand for its eccentric yet totally tasty flavor pairings. Nutrition: This brand is by far the healthiest one I tested. With only six ingredients and all of which are organic, it’s a wholesome pick. Given its reliance on coconut, it does have more fat. But coconut is full of healthy fat so don’t fret. Each serving of Vanilla Island has 210 calories, 16 grams of fat, 16 grams of carbs, and 13 grams of sugar. Dream makes its desserts from almonds, rice, coconut, and soy. But I only am including a review of the almond since that’s what I feel is most easy to find at the store and has the widest range of flavors. Flavor: Almond Dream ice cream is great for those who don’t like the flavor of coconutmilk ice cream. It’s creamy while remaining light and refreshing. The vanilla almond dream ice cream was ranked as the best vegan vanilla ice cream by one of my non-vegan taste testers. Nutrition: Almond Dream uses carrageenan, guar gum, carob bean gum, and sunflower lecithin as emulsifiers and thickeners which means it does have a longer ingredient list than some of the others. Like So Delicious, it’s sweetened with cane syrup. But those who are allergic to dairy won’t be able to enjoy this treat because it’s produced on shared equipment and therefore may have traces of dairy. Dream vanilla ice cream has 140 calories, 7 grams of fat, 18 grams of carbs, and 14 grams of sugar per serving. 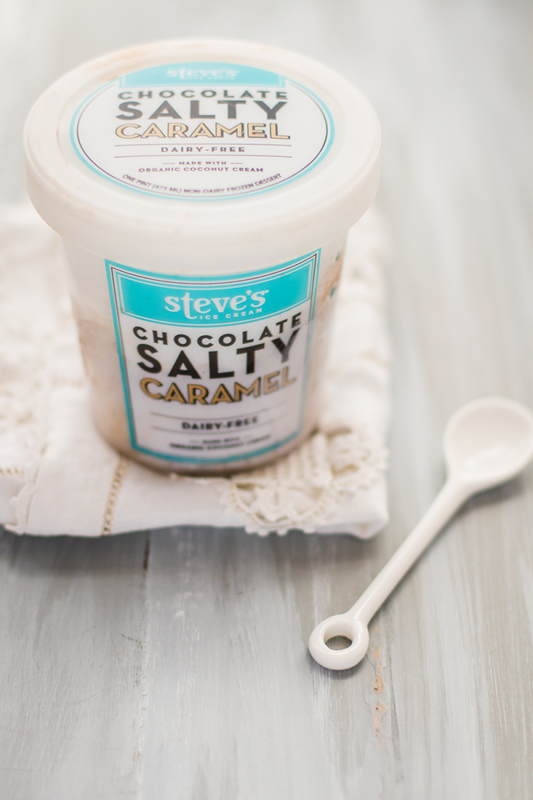 Steve’s is another primarily dairy-based brand that offers a selection of dairy-free flavors. Its offerings are Burnt Sugar Vanilla, Chocolate Salty Caramel, and Speculoos Cookie Butter. 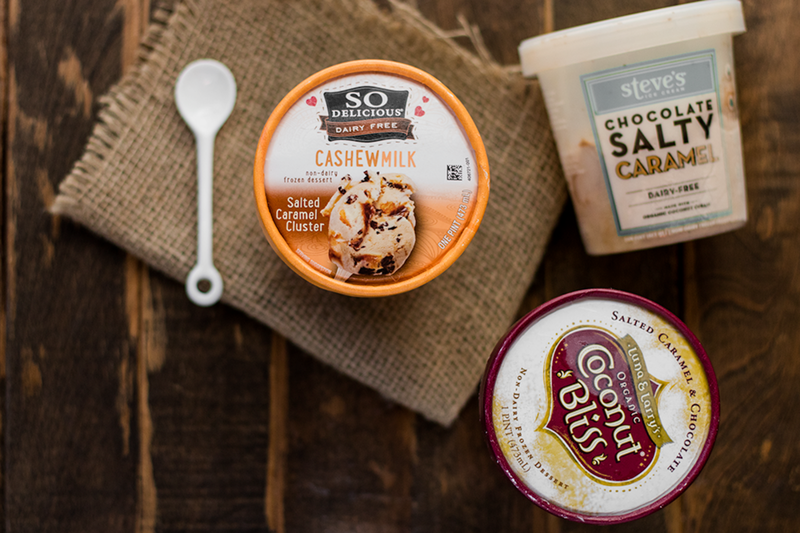 All of Steve’s non-dairy ice cream flavors are based from coconut milk. Flavor: The Chocolate Salty Caramel and Burnt Sugar Vanilla are exceptional. The Chocolate Salty Caramel is not too rich, being more of a regular chocolate rather than dark chocolate, and has sweet and salty swirls of caramel. The Burnt Sugar Vanilla has delicious crispy flakes of sugar in each bite. This brand will definitely please foodies who appreciate gourmet flavors. Ingredients: Steve’s uses almost all organic ingredients and isn&apos;t laden with additives or artificial ingredients. It does have a high The Burnt Sugar Vanilla flavor has eight (excluding water). Chocolate Salty Caramel has 270 calories, 18 grams of fat, 26 grams of carbs, and 24 grams of sugar. Ben & Jerry’s recently released four dairy-free flavors, all of which are certified vegan. Unfortunately, the ingredient list is not clean and has far more additives and unhealthy ingredients compared to most of its dairy-free competitors. I myself didn’t try it since I am gluten-intolerant and also don’t eat products with corn syrup. I used the opinions of taste testers to review it. Flavor: Ben & Jerry’s vegan ice creams receive mixed reviews among vegans and non-vegans. Some said they couldn&apos;t distinguish Ben & Jerry’s vegan flavors from the original dairy versions while others said they could definitely tell but still enjoyed it. It’s a great choice for transitioning vegans since it’s very indulgent and will satisfy cravings. Ingredients: Ben & Jerry’s vegan ice cream’s major drawback is its ingredients. It has corn syrup solids as one of its main ingredients. Corn syrup is a corn-based sweetener that has been highly refined and is far more controversial than cane syrup. Each serving of Ben & Jerry’s vegan ice cream up to 26 grams of sugar, nearly double than that of its competitors. So Delicious wins for myself and my taste testers as best overall vegan ice cream brand. With such a wide range of flavors that are readily available at most grocery stores for under $6, So Delicious is making vegan ice cream accessible and affordable. Plus, all of the flavors we tried were truly delicious! Luna & Larry&apos;s is the healthiest choice. Since it has a minimal ingredient list with the least amount of additives, it&apos;s a great choice. In addition to being certified organic, it is also non-GMO project verified. Steve&apos;s is a clear winner for foodies with its gourmet flavors. The chocolate salty caramel and burnt sugar vanilla flavors are not to be missed by those who enjoy sweet and savory treats. What&apos;s your favorite vegan ice cream? Tweet us at @OrganicAuthorit or tag a photo of your favorite vegan ice cream with #BeOrganic @OrganicAuthority on Instagram!